Norwegian Black Metallers SVARTELDER, whose lineup includes members of CARPATHIAN FOREST, IN THE WOODS, DEN SAAKALDTE, PANTHEON I and OLD FOREST, have today released a teaser video that gives a taste of what to expect from their upcoming digital EP release. 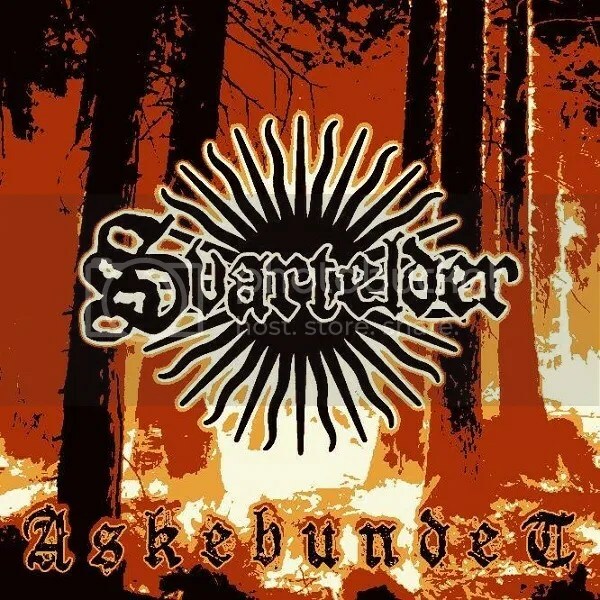 The EP, which will be titled “Askebundet” is set for release on the 10th July via SVARTELDER’s BandCamp page at https://svartelder.bandcamp.com/ where the title track of the EP is currently available as a single. After an initial flurry of activity, SVARTELDER largely remained dormant until founder and frontman Doedsadmiral, decided to reactivate the project with an infusion of new blood in the shape of vastly experienced musicians who have taken the band’s original old-school Norwegian Black Metal roots and contributed their own individual styles to broaden the whole sound and take it in new directions. Interestingly, the musicians themselves have chosen to use different names for their work in SVARTELDER, something that allows them to explore new avenues without any of the pre-conceptions and expectations from fans that may arise because of their previous bodies of work. Aside from Doedsadmiral on vocals, the rest of the lineup comprises Maletoth on bass and guitars, AK-47 on drums, and Kobold on keys.